mixedbag December 21, 2015 June 26, 2016 10 Comments on Lumos Maxima! If you’re a passionate HP fan, you’ll know that deatheaters cannot conjure a patronus. Severus Snape is the only one who could. His patronus is a doe, the same as Lily Potter’s, since he was deeply in love with Lily. Voldemort couldn’t produce a patronus because he didn’t have a single happy memory. ‘Expecto Patronum’ literally means “I await a guardian” in Latin. 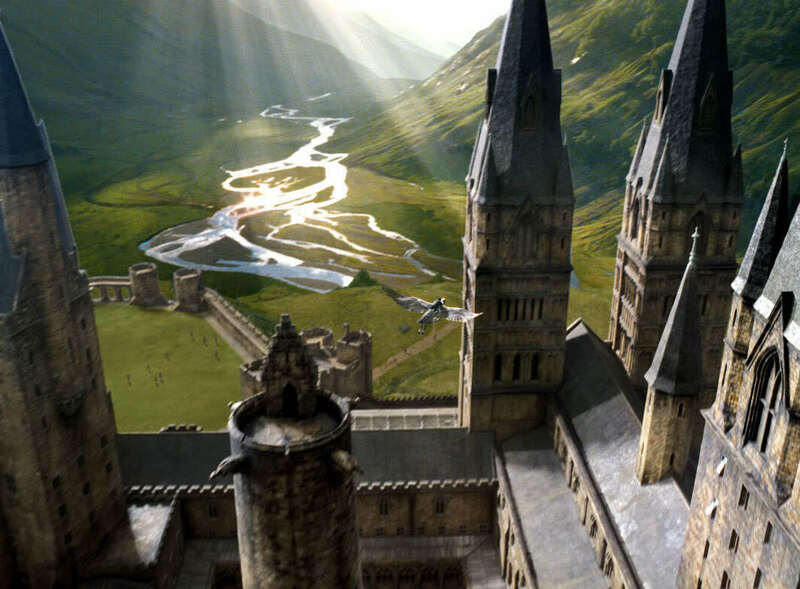 If muggles came upon Hogwarts, all they would see is a dilapidated old building with a “Keep Out, Dangerous” sign on it. 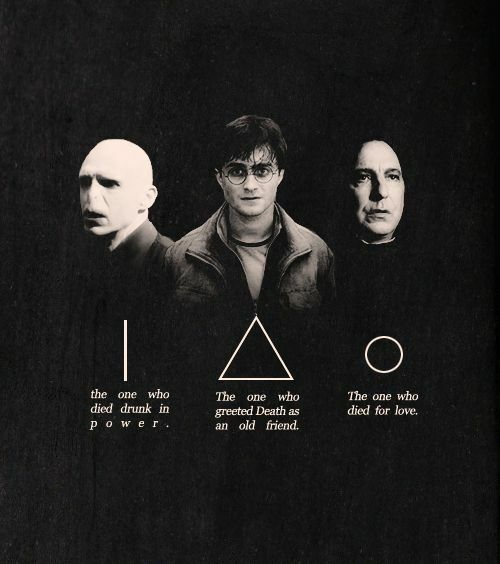 JK Rowling drew a fantastic parallel to the story of the three brothers from Beedle the Bard in Deathly Hallows. 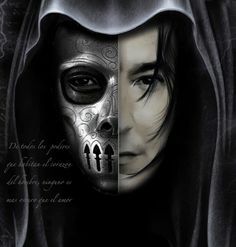 Voldemort is the first brother who died for power, Snape is the brother who died for true love and Harry is the brother who greeted death as an old friend. 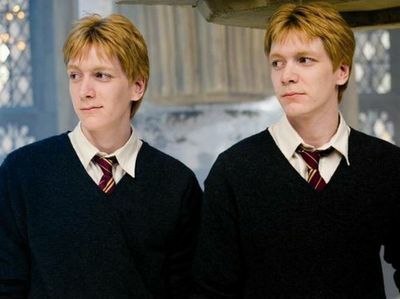 After Fred’s death, George was never able to conjure a patronus again. How heartbreakingly sad! 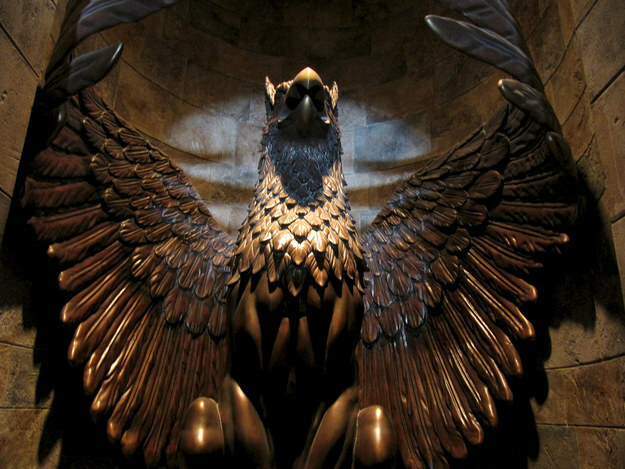 The entrance to Dumbledore’s office is quite literally a Griffin-door! 8. The Marauders died in reverse order from how they were named on the map – Moony, Wormtail, Padfoot and Prongs. 9. Here’s something to chew on – JK Rowling created seven horcruxes of her own – her seven books, in which she’ll live forever! Why do I get the feeling like the Harry Potter series was just the tip of the iceberg? We are going to see lots more from the wizarding world, it’s nowhere near the end. After all, “I open at the close”, right?. How I wish, I weren't a muggle. 🙁 I've had a secret wish to be a witch even before the the HP movies were released. Interesting !! As always !!! This post ignited in me the desire to read HP for the first time. I had to beg to my son to lend me one from his collection. That is so wonderful to hear, Saket! Do let me know how you like the books.